Technical specialist in Graphic Arts – Barcelona, 1994 EPSS. Graduated in Photography, Multimedia – Barcelona, 1997, UPC. 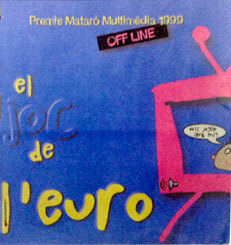 Best Interactive in the “Premis Mataró Multimedia”, 1999, UPC with “El Joc de l’Euro”, Macromedia Director CD. 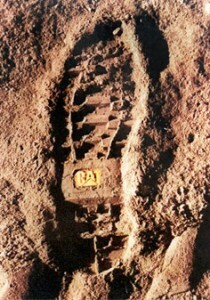 Digital Management on stock photo agency in Barcelona, AgeFotostock, 1996-2007. Professional experience in digital retouching, web programming and SEO. I started in the printing industry in 1987. Self-taught, I learned the craft of prepress in graphic arts next to my father, owner of a small print shop in my home town of Manresa. 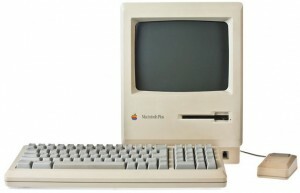 When I finished high school, I used to make originals for printing, on an Apple Macintosh Plus computer and desktop publishing Aldus Page Maker software. On summer 1992, at the end of formal education, I started working in the local newspaper of Manresa, Regió 7, in the workshop department, preparing advertisements with desktop publishing programs such as PageMaker and QuarkXPress, vector software as Freehand and Illustrator and tweaking logos with Photoshop. In 1993, combining my studies of Graphic Arts in Barcelona, I did work practices at Apple Macintosh Manresa dealer where I had the opportunity to train professionals in the graphic arts industry with desktop publishing programs and vector I knew so well. After graduation on Graphic Arts, I continued my training on the first Photography College that was in Spain, at the Polytechnical University of Catalonia in Terrassa, three years later specializing in Multimedia. On that time, I combined studies with an specific job on digital retouching at Llum i Color, industrial photo lab, wholesaler and distributor of photographic products, where retouching faces and swaping backgrounds was the usual. In 1995, I visited London for the first time, along other university fellows on my team, having won first prize on the advertising photography sponsored by the company Caterpillar. It was a good experience. In 1996, a year before finishing my studies in photography, I joined the internationally known stock photography agency, Age Fotostock, in Barcelona, in a department that began with me: the department of digital retouching. 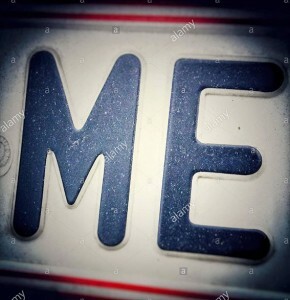 I learned a lot about the industry of stock photography and I was at the head of the department until I quit in 2007, to undertake new personal and professional projects. Alongside my work in digital retouching at the stock agency, I was very interested in my university specialization in Multimedia to create interactive CD’s and later, web pages. So, on my free time, I continued my education in the sector. First with Macromedia Director software, with which I made an interactive CD for children about the new currency was going to be issued next year, the Euro. The interactive I presented was entitled “El Joc de l’Euro” and was awarded as the best interactive at Multimedia Awards in Mataró UPC in 1999. The prize consisted in a trip to Brussels to visit the European parliament. and economic funds (in pesetas) which I took advantage to get the new Apple iMac. Another great experience! As I know you never knows enough, my next challenge was to introduce myself in the ActionScript programming (I ranged up to version 2.0 only) that Macromedia Flash technology offered to incorporate animations on websites, charging them with movement and dynamism. I self-taught with the help of books and colleges online, but also attended specialized courses. When I joined the stock agency, a new photographic world was opened to me, so along with my partner, photographer Jesus Coll, we started producing stock photos since 1997: travel photography, food, conceptuals … often modeling even ourselves as these were the resources we had. My main contribution to this project was retouching and digital manipulation, as well as optimization and keywording. Nowadays, our images are available trough UK based company, Alamy where you can acquire the rights of our photographs. Lately, I have started experiencing photography by movile devices, known as iPhoneography. 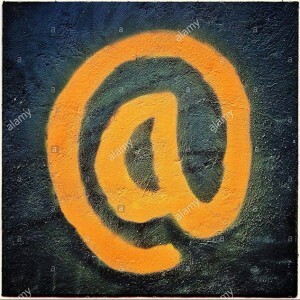 All stock photos and decorative giclée prints that I present in this website are made exclusively with mobile devices. Do you need a decor giclée print in another format? Anyway, do not hesitate to fill the form!